The "darkness" and "drama" behind Andrew Wyeth's work made him one of the more controversial artists of his time. 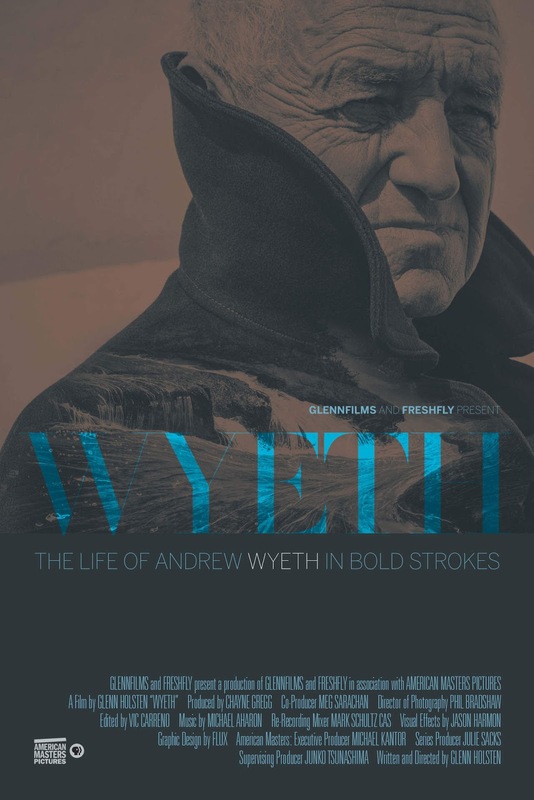 The PBS docu-series American Masters takes a look at the man and his work in their latest film WYETH. See the press release and trailer below. "WYETH tells the story of one of America’s most popular, but least understood, artists – Andrew Wyeth. Son of the famous illustrator N.C. Wyeth, Andrew had his first exhibition at age 20, and his painting “Christina’s World” was acquired by the Museum of Modern Art in 1948. While Wyeth’s exhibitions routinely broke attendance records, art world critics continually assaulted his work. Detailing the stunning drawings and powerful portraits he created in Chadds Ford, Pa. and on the coast of Cushing, Maine, WYETH explores his inspirations, including neighbor Christina Olsen and his hidden muse, the German model Helga Testorf, who he painted secretly for 15 years. Through unprecedented access to Wyeth’s family members, including sons Jamie and Nicholas Wyeth, and never-before-seen archival materials from the family’s personal collection and hundreds of Wyeth’s studies, drawings and paintings,American Masters presents the most complete portrait of the artist yet — bearing witness to a legacy just at the moment it is evolving."